Modular homes are greener and more energy efficient than stick built homes. Find out why and learn how to make your prefab home the greenest it can be! Because modular builders typically waste less raw material and manufacture and ship in massive amounts, the construction of a modular home is almost always more environmentally friendly than the construction of a similar site-built home. Where modular homes really shine is in their ongoing energy efficiency. Modular homes are crafted with factory precision, and all the seams fit much more snugly than they do in a typical site-built home. 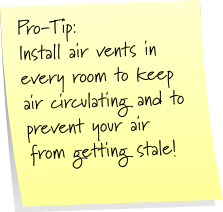 This means that much less outside air can make it in to the house, keeping the temperature and quality of the air at a stable level. Modular construction also lends itself very well to efficient use of insulation, allowing perfectly sized pieces to be an integral part of walls. By using zone heating and cooling, you can temperature control only the parts of your house that you will using during certain times of day. Since modular homes are so airtight, it’s important to make sure they’re properly ventilated or the air will start to get stale. This will mean placing a vent in almost every room, which is perfect for maintaining steady temperature and air quality throughout the home. Each module has a floor, walls, and a ceiling which are joined together to their neighboring modules. There are two walls between each room and both a roof and a floor between different levels. This means that your house is effectively broken up into separate, well-insulated sections.This is perfect for heating and cooling your house by zone. With a vent in most rooms, breaking up your house into heating and cooling zones is very easy and can save you a lot on your utilities bill each month. There’s no reason to heat or cool your whole house when you’re only using the bedrooms at night or the kitchen and living room during the day. Look for the blue energy star logo for the appliances that will save you green! Modular homes lend themselves so readily to green living that every single home offered by some manufactures are designed to earn the Energy Star. Even in homes that wouldn’t be automatically Energy Star certified, you can add energy efficient appliances, properly seal ventilation ducts, install programmable heating and cooling systems, and take many other steps to make your home as energy efficient as possible. Get Tax Credits By Building Green! 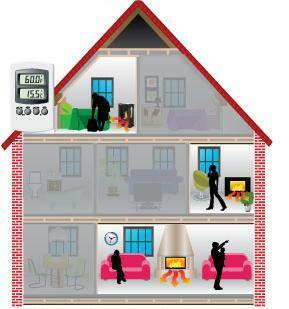 You can get a 30% tax credit on the cost of purchasing and installing systems that use and produce green energy. Federal tax credits are available for geothermal heating and cooling systems, wind turbines, solar water heaters, and photovoltaic (solar) panels. If the home you’re building is a primary or secondary residence, you can qualify for the tax credit. Learn more about modular home tax credits you can’t afford to miss.